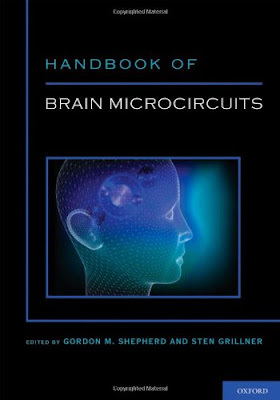 The information presented in the Handbook of Brain Microcircuits was previously dispersed across the literature. In fact, some microcircuits were previously brought together for selected regions in The Synaptic Organization of the Brain edited by Gordon Shepherd (2003) and Microcircuits edited by Sten Grillner and Ann Graybiel (2006). This handbook greatly extends that coverage to over 40 regions of the vertebrate and invertebrate nervous system becoming the go-to source for key circuits within the neurosciences. In order to focus on principles, each chapter is brief, organized around 1-3 wiring diagrams of the key circuits, with several pages of text that distil the functional significance of each microcircuit. The concept of microcircuits is emerging as one of the major organizing principles of the nervous system. Building on the foundation extending from Cajal, through the Editors' combined works above, to the present, the aim of this volume is several fold. First, the authors distil the current knowledge of synaptic and functional organization of each brain region so that the most basic aspects can be summarized in synthesizing microcircuit diagrams. Second, each diagram represents specific types of operations, and in so doing function as canonical circuits, that is, microcircuits that can be identified as carrying out generic operations that are essential to what a region contributes to the neural basis of behavior. Finally, by gathering these microcircuits within one volume, it becomes possible to begin identifying the canonical operations across different regions, that within each region are fine-tuned to the particular form of the information in that region and the output targets for the operations.